Shikkari Shambu was released on 19th January opening to a decent word of mouth.But the movie hasnt received what it deserved from the boxoffice.It was too late when the word of mouth spread across as the exam season came in. But still , it was able to gain something from the boxoffice in the later . 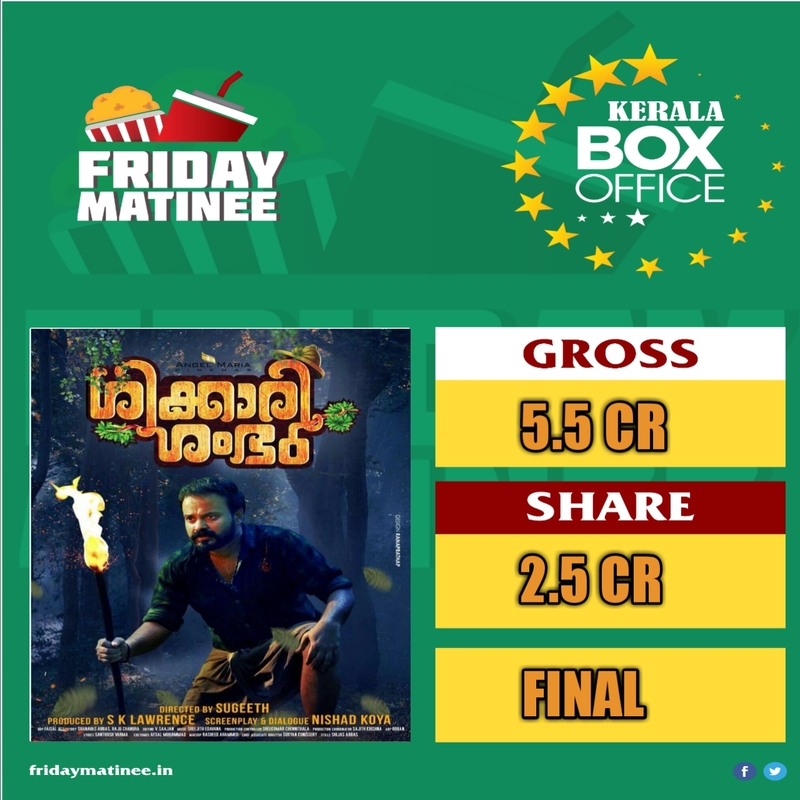 Made around a budget of 5.5Cr, Shikkari Shambu collected around 5.5cr with share of 2.5Cr.The satellite rights was bagged by Mazhavil Manorama for 3.5Cr helping makers to gain a small profit. Shikkari has completed around 7000 shows in its 67 days run.